VOICES OF WITNESS: The Claiming the Blessing documentary film series giving voice to the lesbian, gay, bisexual, and transgender Episcopal and Anglican faithful. Voices of Witness offers the message of God’s inclusive love in the world — in the stories of gay and lesbian Episcopalians — and as a testament to the power of living lives in service and love to all of God’s creation. Premiered at General Convention 2006, the film is available on DVD and online. 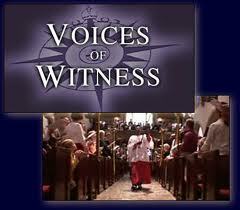 Voices of Witness also offers a study guide written by the Rev. Dr. Gary Hall. 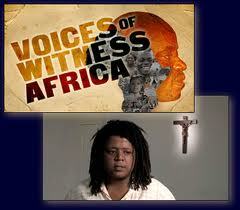 Voices of Witness: Africa  — The second film in the Voices of Witness series was born out of desire to keep a promise. The Worldwide Anglican Communion had failed to keep its promise to its LGBT children to listen to their experiences. And so in Voices of Witness: Africa, Anglican men and women from across the continent tell their stories of intolerance and community, in secrecy and hope, of facing challenges and seeking dignity as people of faith who are gay, lesbian, bisexual or transgender. The idea for this film began as an effort to bring LGBT African Anglicans to the 2008 Lambeth Conference to tell their stories to this every-ten-years-gathering of Anglican bishops. When that proved almost impossible, the decision was made to bring them to Lambeth via film. That effort was successful. A short preview of this film was shown twice at the Lambeth Conference, on one of those occasions to a standing-room-only crowd. The producers then returned to Africa for more interviews in more countries. The result is this 30 minute film of stories of courage and love, and most of all, of a deep abiding faith in God. 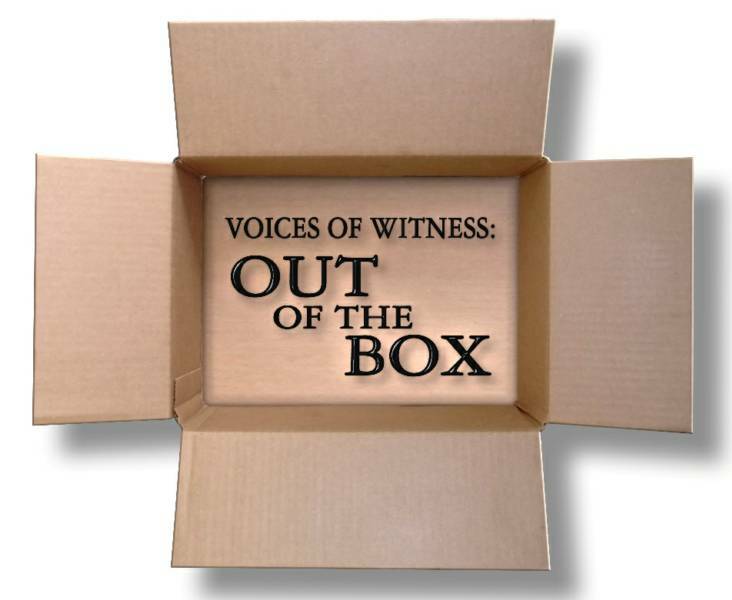 Voices of Witness: Out of the Box  — is the third in the series: a groundbreaking documentary giving voice to the witness of transgender people of faith courageously sharing their stories of hope, healing and wholeness. Released in June 2012, the documentary was distributed to every bishop and deputy prior to the 77th General Convention in Indianapolis and is accompanied by a study guide. It has been viewed over 15,000 times.